massago.ca | Our commitment to improving your booking experience. We want to take the stress out of your booking so we’re adding features that make it easier for you to book with your favourite RMT. 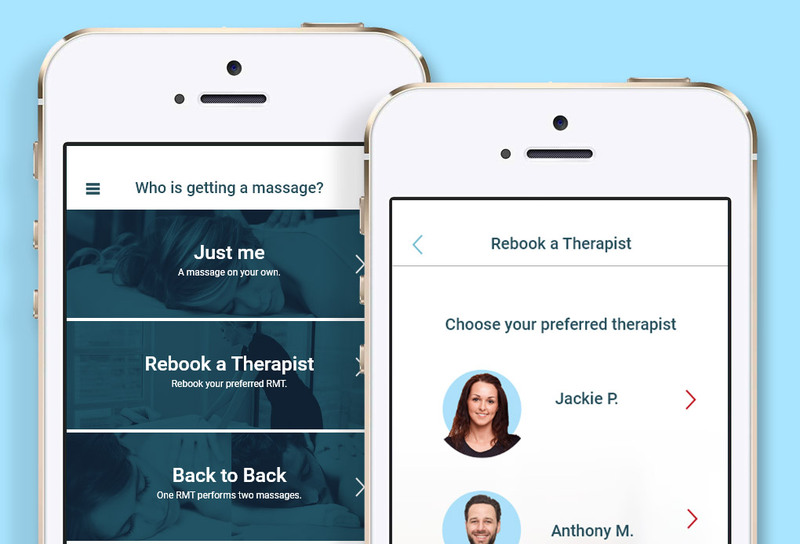 Now you can easily rebook with any of your previous therapists. We continue to update the Massago app to make your experience even better. If you have an idea for how we can improve the Massago app, please let us know. We work with the best RMTs in the province; maintaining a 4+ star rating on Massago. We’ve met each one in person, given a practical exam and completed a background check. All of our therapists are in good standing with the College of Massage Therapists of Ontario. You always receive a receipt that you can submit to your extended health care plan.